By Helen Potter, Content Editor, Data. We’re very pleased to introduce our latest addition to the MarinLit interface – location searching. This new search adds even more flexibility to the searches already available in MarinLit. 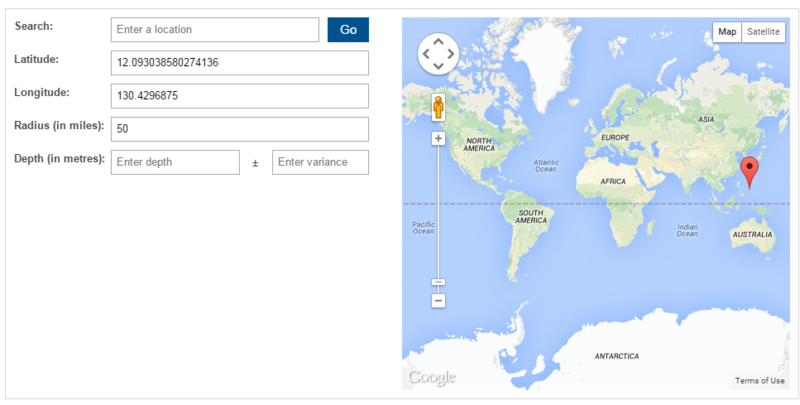 To get started with the location search, simply click on it from the home page and drop a pin in the map!